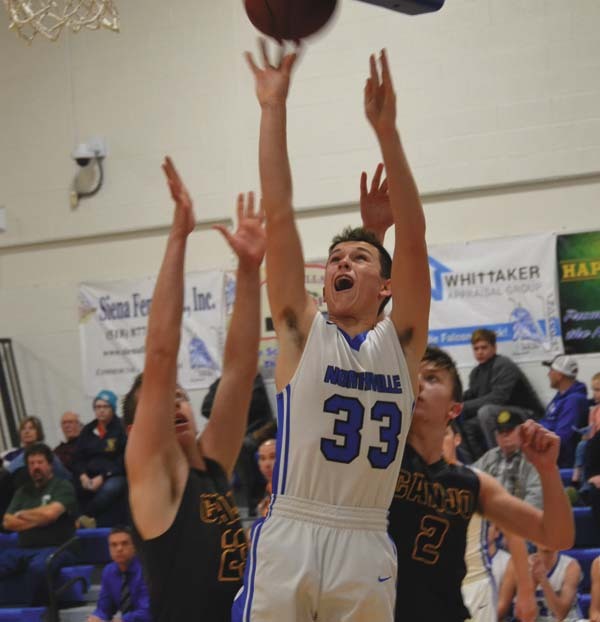 NORTHVILLE — Having won just three games all of last season, the Canajoharie boys basketball team is just one win from matching that total after two games this season. “We’re off to a good start this year. 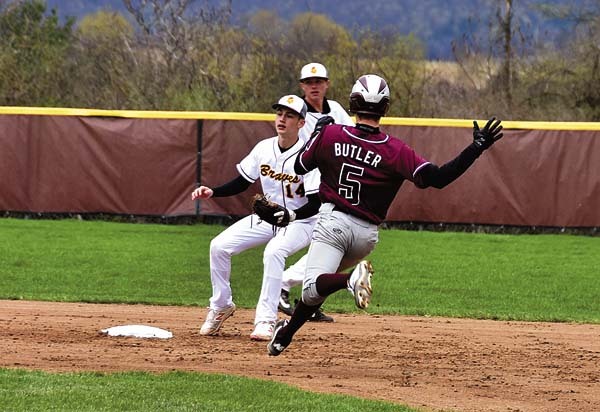 The kids have been working hard,” Canajoharie coach Rob Fairley said. 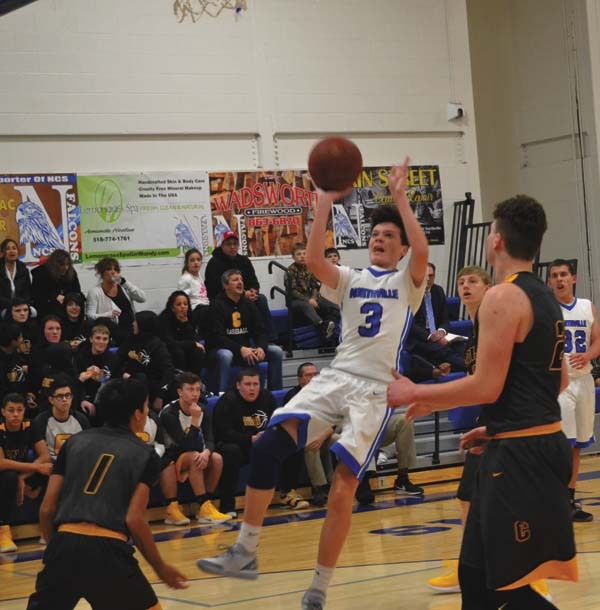 The Cougars opened their Western Athletic Conference schedule with a 62-39 victory at Northville on Wednesday to improve to 2-0 on the season. Canajoharie earned the win by dominating on the glass, easily outrebounding the Falcons. The Falcons got off to a solid start, taking a 12-9 lead after one quarter. However, Canajoharie outscored Northville 17-8 in the second quarter to take a 26-20 lead into the half. Max Prime scored the final eight points of the half for the Cougars. 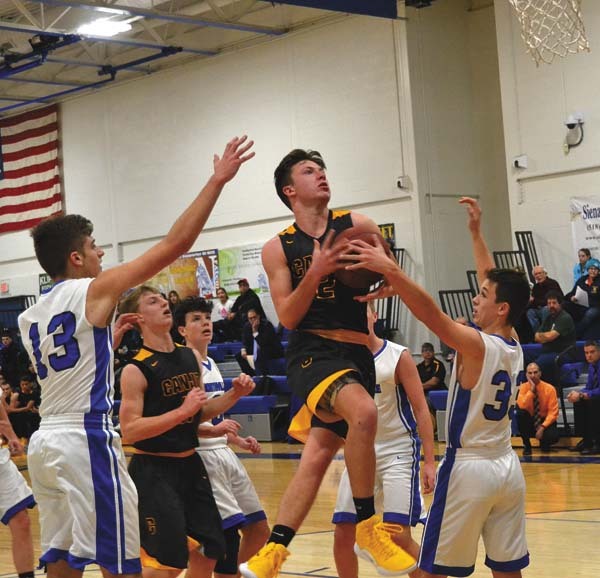 Canajoharie extended its advantage in the third quarter, outscoring Northville 15-11 in the frame. The Cougars got back-to-back 3-pointers from Joe Nare and Marcus Johnson as part of a 10-4 surge to open the third quarter, pushing their lead to 36-24. After a timeout by Northville, the Falcons got a 3-point from Nate Reidell to make it 36-27 before heading to the fourth quarter trailing 41-31. 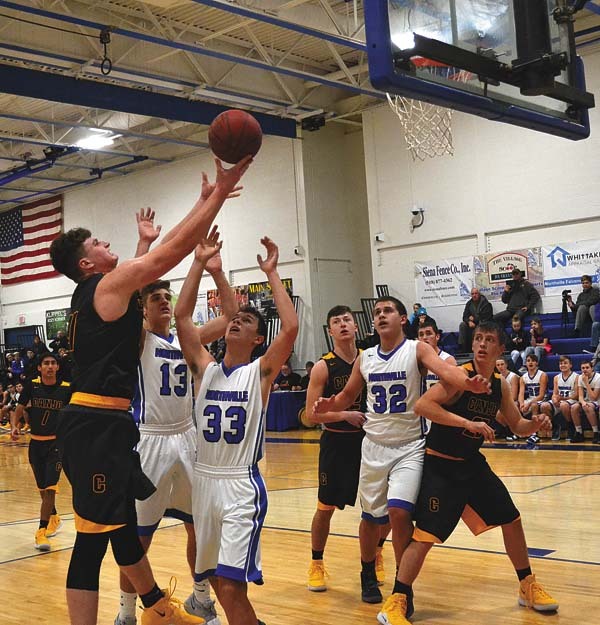 Canajoharie broke the game open early in the fourth quarter, using a 13-0 run to open the frame. Derek Hyney scored six points in the run for the Cougars, who pushed their lead to 54-31 with 4:08 to play. 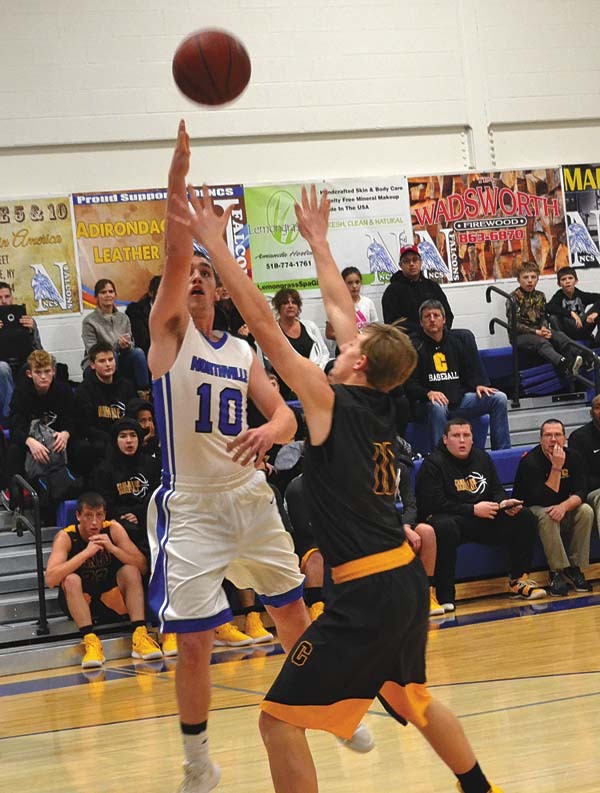 Northville got no closer than 21 points the rest of the way as Canajoharie cruised to the win despite missing several close-range putback opportunities. Prime led Canajoharie with 17 points, while Nare finished with 13 points. Hyney added nine points for the Cougars. T.J. Wadsworth led Northville with 17 points, while Reidell added 12 points. Canajoharie (2-0 overall, 1-0 WAC) is slated to travel to Oppenheim-Ephratah/St. Johnsville on Friday for a 7 p.m. game. Northville (2-1 overall, 0-1 WAC) is scheduled to travel to Galway on Friday for a 7 p.m. contest. “We’ve just got to just regroup a little bit and be ready to go Friday,” Karbowski said. Shariff 2-0-4, Nare 6-0-13, Hyney 4-0-9, Logan 1-0-2, Johnson 4-0-10, Van Slyke 2-1-5, Prime 8-1-17, Herget 1-0-2. Totals 28-2-62. Sira 0-1-1, Reidell 3-3-12, Wadsworth 7-3-17, Milewski 2-0-4, Ellsworth 2-1-5. Totals 14-8-39. 3-point goals: Canajoharie 4 (Johnson 2, Hyney, Nare); Northville 3 (Reidell 3).